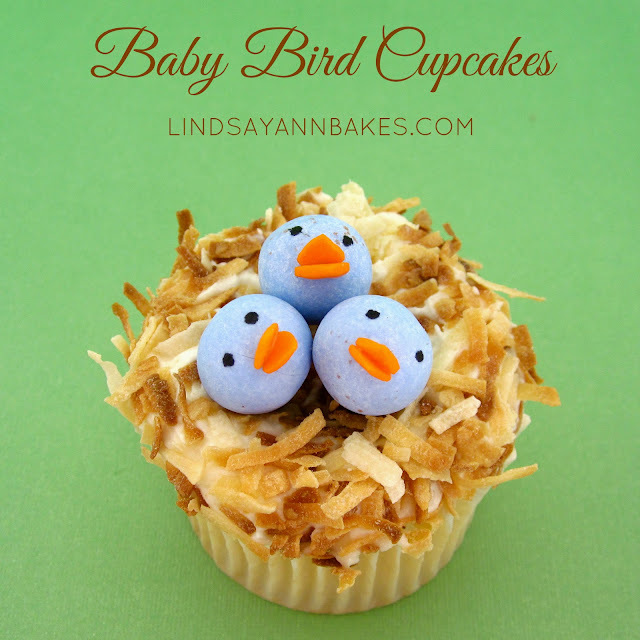 A pillow of toasted coconut covered frosting creates a nest for these cute little chocolate baby birds. 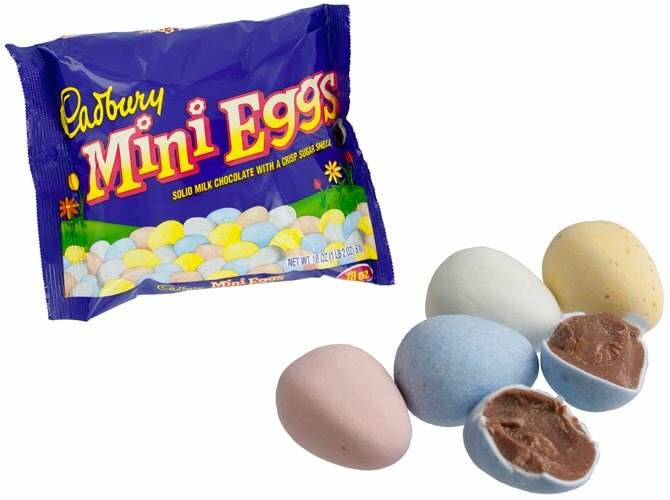 Made of store bought chocolate eggs, heart sprinkle beaks and edible ink for the eyes, these little birds couldn't be more simple! 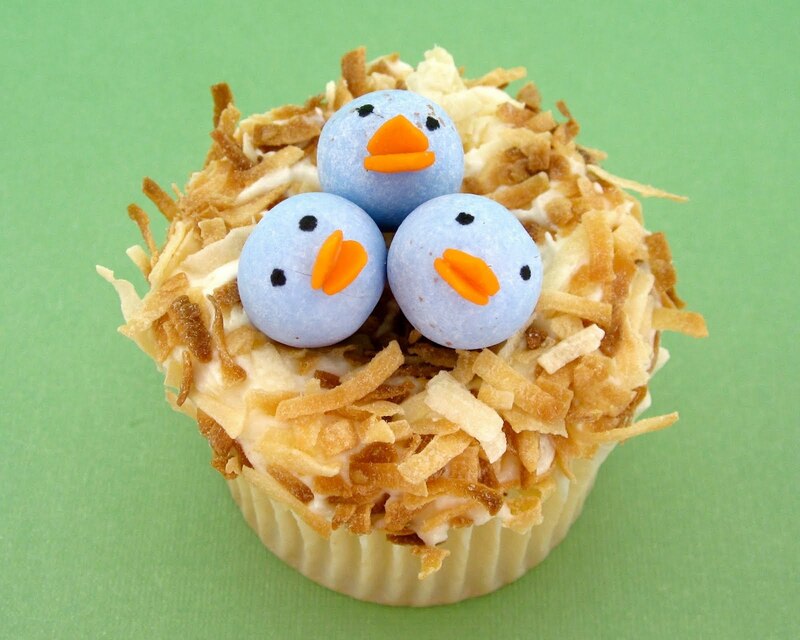 Frost your cupcake and roll in toasted coconut flakes. To toast coconut flakes, preheat oven to 350ºF. Spread shredded or flaked coconut on a baking sheet and bake until golden, about 2 to 5 minutes, stirring about every 30 seconds. Watch carefully because coconut burns very easily! Press in the middle with your finger to form a little indent to rest the eggs. 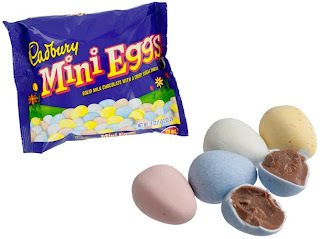 I used these Cadbury Mini Eggs, but any kind of candy eggs or even jelly beans will work fine. Place your eggs in the "nest". To make the birdies add some eyes with edible marker or black food coloring and a fine tip paintbrush/toothpick. Take 2 orange or yellow heart sprinkles and attach the beaks with some frosting from your cupcake, with the point of the hearts facing out.